The summer season is accompanied with a plethora of bugs that can prove to be a source of great discomfort for the people. While some babies aren’t affected by bugs that much, quite a lot of babies get constantly targeted by the bugs and get itchy red spots all over their body. There are two ways of staying safe from bugs. One is to stay at home all summer while the other is to use bug sprays. But are insect sprays okay for young babies and are there any natural replacements for bug repellants? Let’s find out. California Baby Bug Repellent Spray contains the scent of citronella lemongrass as well as cedar essential oils. The product is recommended for use on babies who are six months old or younger though the baby’s physician should be consulted first. The bug spray keeps mosquitoes, fleas and flies of all sorts away and can be applied both during the day and at night. Although the ingredients aren’t toxic, it is recommended to keep the spray away from the eyes area of your babies. 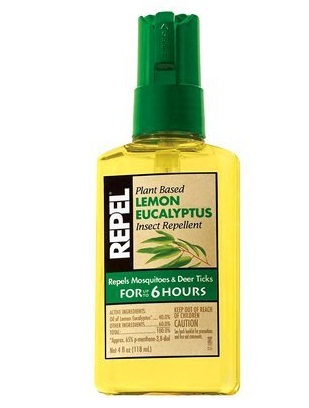 Repel Lemon Eucalyptus is a bug repellent that can provide protection from bugs for around six hours. The product is DEET free with the plant-based lemon eucalyptus oil being the main ingredient which is recommended by CDC for protection from mosquitoes. The spray is recommended for children who are 3 years old and above. 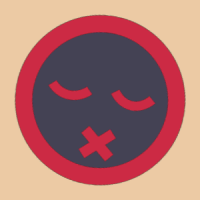 The spray should be kept away from the mouth and eyes when being applied. 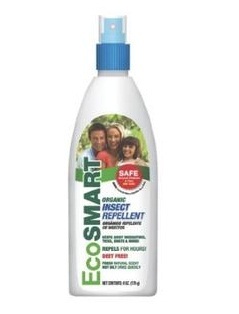 EcoSmart Organic Insect Repellent uses a plant-based formula for providing protection against all sorts of bugs and flies. The formula is DEET free and provides protection for hours. The product can be used by both young babies and older children though a physician should be consulted if you have got any concerns. The product is totally non-oily and dries very fast too. 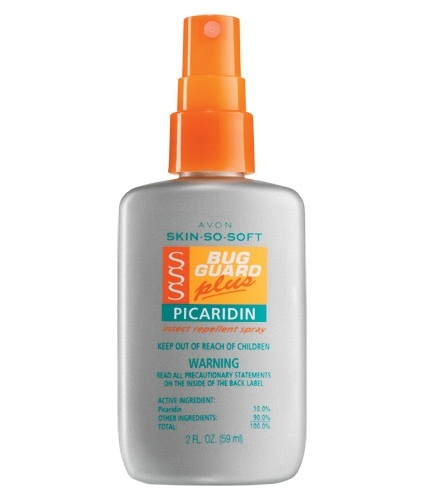 Avon Skin-So-Soft Bug Guard plus Picaridin offers over 6 hours of protection from mosquitoes and keeps the gnats and flies away for about 7 hours. The main ingredient used in the product is picaridin, which is considered as an effective DEET alternative. The product can be used for all outdoor activities during dawn and dusk when sunscreen protection won’t be needed. 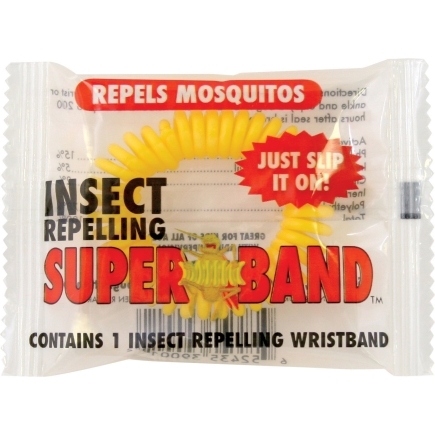 Superband Insect Repellent contains three types of natural oils, including the citronella oil, the Philippine geraniol oil and the lemon grass oil from Indonesia. These ingredients are rated non-toxic and safe by US environmental Protection Agency which makes the product great for both children and adults. The repellent is water proof as well with the effect lasting to over 200 hours after it has been opened. The product remains great for activities related with camping, gardening and fishing. The use of insect and bug repellants on children who are two months old or older is considered safe according to American Academy of Pediatrics. According to Centers for Disease Control and Prevention (CDC), bug repellant products that have either picaridin or N, N-diethyl-meta-toluamide (commonly known as DEET) can be used by both young children above two months old and adults. Importantly, the effectiveness of the bug repellant isn’t related with the concentration of the main ingredients as the concentration indicates the time of keeping the bugs away. For instance, a bug repellant containing 7% DEET will keep the bugs away for two hours while a product that contains 20% DEET would keep the bugs away for over four hours. It’s best to actually calculate the amount of time for which you might need bug protection and then use the product with a concentration that can provide protection for that time period. Products at 30% concentration usually provide protection for the maximum time possible, so you will see there are no products going over that concentration for this reason. It’s best to first read the product label and check the concentration level as the levels can differ drastically from one another. Bug repellents should be used once a day at maximum for babies as they aren’t soluble in water. It is also recommended not to buy products that act both as bug repellents and sunscreen since bug repellents can only be used once, but sunscreen needs to be used regularly within a day. Using a natural repellent for insects may be a better idea though you must first confirm if it’s okay for babies by reading the label. 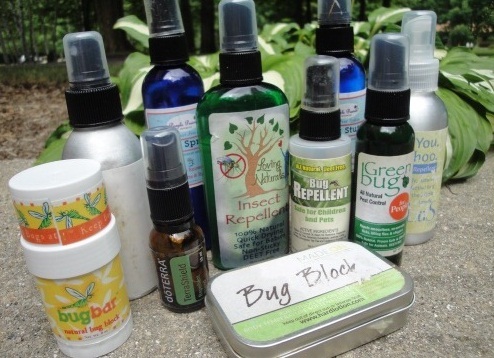 Remember that natural repellents don’t provide protection as long as normal repellents since normal repellents usually last a few hours, but the natural ones lose effectiveness after 15-20 minutes. Do not apply the repellent to the baby’s skin which is not exposed. Keep the bug spray away from any cuts or rashes and don’t take it near the baby’s mouth or eyes either. Keep the package out of reachable area of your baby. Remember to wash the baby’s clothes after he is brought back inside. Make sure that the spray is not used near the food items. In case the baby gets a rash after you apply the repellent, wash it immediately and call a doctor for further suggestion. What Are the Alternatives for Bug Spray for Babies? Mosquito Netting: Mosquito netting can be used for children when they are 0-2 months old and should be placed over their strollers or carriers. Timing: You can choose to take your baby out at the time when the bugs and insects aren’t that active. Essential oils: While essential oils are not deemed safe for infants younger than two months, they can be used by everyone else. Essential oils like lemongrass oil, cedar and soybean oil have been used for a long time, but they aren’t as effective as DEET. Permethrin: Permethrin provides another DEET alternative though it can’t be used on skin directly. While Permethrin can directly kill fleas, it isn’t effective at all against mosquitoes and other various insects. Why does My Baby Cry When He's Not Held? When Can Babies Eat Meat? How Often Do Newborns Poop and Pee?